When people talk of brands and branding for business purposes, a lot of people grit their teeth. They think of either crazed or disorganized corporate structures that are determined to leave their mark on the world, causing all kinds of chaos in the process. In such a haywire economy today, these thoughts are prevalent on a global scale. But this sort of thinking doesn’t have to be the case for all businesses out there trying to stake their claim as consumer goods and services providers. Branding occurs at the local and international business levels. If you think of a local welding company creating poster and exhibit design on billboards or in arenas, it’s not much different than Coca-Cola putting up signs. Entrepreneurs seek to define and promote their business to the most successful level they can. Branding is just one way to do that. Branding in digital business formats isn’t much different from branding in old advertising formats. But there are some methods to be aware of, and you need to know how to use them correctly. 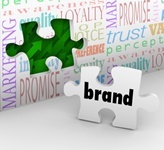 Branding online is a multifaceted way to get your business known on the Internet. Once you get into the business of branding, you have to consider all of the products you have and how to properly imprint your brand on them. There are a few places to take note here within the body of your professional work. Obviously, your graphic materials are important. Getting the most professional logo design and development is necessary, both for print and digital files. Finding that logo, color combination, and definite “look” needs to be thoroughly worked out for all materials—borders, letterheads, packaging, and so on. As mentioned before, poster and exhibit design is done with a lot of small businesses, and you may wish to partake in it along with your logo design and development. Given the fact that you will likely be promoting your business on your web site, through publications, and likely through personal appearances with clients and conventions, having all of this graphic material ready to show to an interested party is something that you need to do. The key point here is that you are creating a discreet yet appealing corporate identity development that communicates to interested parties just how professional your business is and how great your products are. It can take some time and testing to see which brand works best for your business, but it’s worth it in the end. With branding online, you have to remember that one key word that is so prevalent today: optimization. Developing your brand not only means making something that looks appealing to clients; it also means having a visual entity that can function to bring in client traffic. “Optimization” takes on some new meanings, though, when working with logo design and development online. You should make sure that all of your logos or brand representations appear properly on your web pages, social media sites, thumbnails, and so on. If it’s cropped or looks shabby, it won’t optimize properly in searches. Applying this same idea in your landing page optimization is necessary, too. Testing your page with all of its graphic/brand material is important to ensure it looks good online AND brings in client traffic. Online branding is about spreading the wildfire of your business across the Internet. You want to create something great that will accurately represent you and deliver the goods through modern processes. If there is one thing that makes a brand any good for you, it’s that it’s a nice-looking tool that can draw good business. Plain and simple.